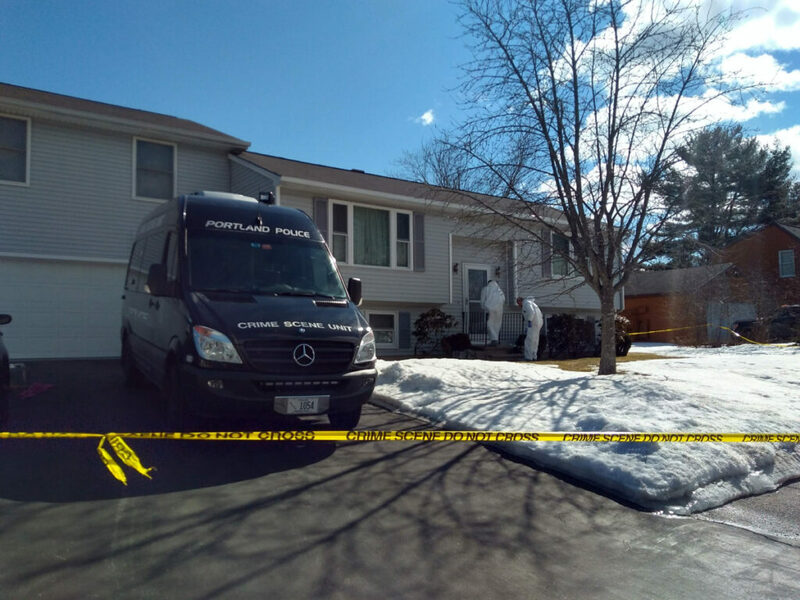 Crime scene investigators on Sunday continued to work at a house in Riverton where a 22-year old man was shot and killed early Saturday. Police investigators returned to a house in Portland’s Riverton neighborhood Sunday, more than a day after a 22-year-old man was killed in a shooting there. Isahak Muse of Portland was shot during an altercation 1:45 a.m. Saturday at 107 Milton St., according to police. He was dead when police officers and paramedics arrived at the scene, Lt. Robert Martin said in a statement Saturday. The gray, split-level home where the shooting occurred was cordoned off with yellow police tape Sunday morning. Investigators from the Portland police Crime Scene Unit were inspecting inside and at the front of the house. A black Lexus sedan with veterans plates was parked in the driveway. The home is owned by Mark Cardilli Sr., according to city property records. No one answered a call to a phone number listed for Cardilli. Milton Street is in a quiet residential neighborhood of modest single-family homes. A next-door neighbor who declined to give his name said he didn’t know what happened, but he woke up at 4 a.m. Saturday to the street full of police cars and flashing lights. His neighbors kept to themselves, he said. Other nearby residents declined to speak to a reporter Sunday morning. Akiko Dow, who lives a few doors down from the house, said a middle-aged couple lived at the house, but she didn’t know them well. Dow didn’t know anything had happened until she went shopping with her family on Saturday morning and noticed the crime scene tape in front of the house. She said she never expected a fatal shooting a few yards away from her home.